Creativity and innovation can be found everywhere and why should the hotel industry fall behind in innovating. We have dedicated this post to few of the most innovative hotel concepts in the world. The post covers a lot of innovation in the hotel industry in terms of design and concept. Indeed the contemporary hotels and hospitality industry are undergoing lots of original and remarkable styling. All over the world, seriously unique concepts described by clever and quirky, outright disruptor designs, cool and trendy and tech-inspired ideas aren’t new anymore. All this is happening regardless of whether it is a giant 7-stars hotel like the Burj Al Arab, a simple Bed ‘N Breakfast, Motel, or one of the Best Boutique Hotels or just a simple structure. In a period where online guest reviews and social media seemingly define the magnitude of success, a hotel will realise, being innovative seems to pay off. Several hotel comparison sites, hoteling followers, and the industry’s watchdog groups have been compiling the list of the most innovative hotel concepts. And, indeed the list features all the beautiful, jaw-dropping, mediocre, bizarre and absolute stunners. As for us, we’ll just congratulate the hotel concept creators behind each of the following hotels. A stunningly stylish, yet affordable hotel in the heart of New York, Yotel is a stark contrast to the hectic and less-than-hospitable city. Everything in this facility, including the airport-style touchscreen check-in machines, the impeccably dressed staff and the cunningly created ‘cabins’ are truly ingenious. From one of the largest Terraces among hotels in the area to apps for tracking guest comfort make this a special and innovative hotel. Quite literally, Yotel showcase state-of-the-art blending of design, space, and technology. Of course, you need to check it out. But if you think cabins don’t suit your Luxury statement, think again. Have a look. Another amazing innovation in the hotel industry. Away from the ordinary is a super-unique hotel in Sweden. As the name suggests, Ice Hotel is almost entirely of ice, but with some expert designs and sculptures designed annually. Given that it is ever work-in-progress, Ice Hotel entices its massive number of fun-lovers with ice-infused cocktails as part of the novelty value. It is one of the most astonishing hotels in the world due to the innovation and complexity involved. Ice Hotel in Sweden is not alone to master this innovative hotel concept. It has healthy competition. One of our earlier posts lists a lot of other Ice Hotels in the World. You love for drinks is set to grow as you watch this innovation. This is more of an eatery and banquet space. You would probably need to look for accommodation elsewhere. Even then this is a unique and innovative concept to explore. Eat, drink, relax, party and a lot more at this extremely different hotel concept. From a design made entirely of giant concrete pipes, Prahran Hotel has no match. What’s even unbelievable about the entire innovative idea is the use of leather upholstery and linen in construction. Of everything associated with this Melbourne-based facility, the bar’s dramatic look amazes everyone. This again is an excellent hotel concept you would love for sure. We all associate Germany with…Oktoberfest. 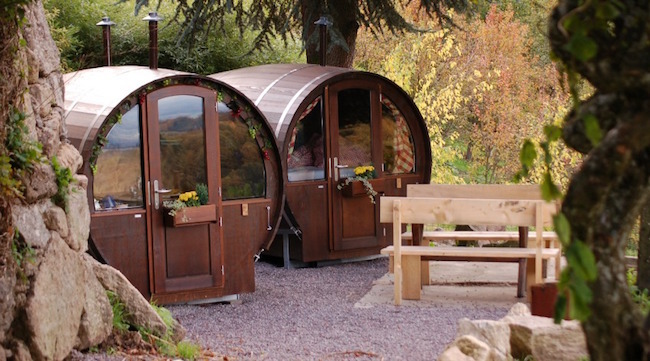 But, how would you feel if you were to visit this state and stayed in a wine barrel room? This is a treat for all wine lovers. Think of this place if you are looking for Hotel Packages with Wine tasting. You are set for a delight amidst natural surroundings, vineyards and much more. The hotel has five heated rooms, with each room having a name that relates to a given type of wine. From outside, the sheer beauty is enough to leave a form of nostalgia. Enough said; make a trip! This again is one of the most innovative hotel concepts in the world. Think of living under the sea and over the shore. While there are a lot of over water and underwater concepts around the world, Floating Seahorse has made a luxury statement through this innovative hotel concept. Luxury Floating Seahorse Homes in Dubai reignites the trend of eco-friendly luxury living. The concept is not new but as a hotel concept, this certainly is a novel idea. Underwater hotel concepts are no longer a novelty, but unlimited fun and excitement are spending some time in an underwater room. The amount of privacy and differentiation from the regular resort ideally suit your quest for a relaxed vacation. In fact, the luxury as you relax in the midst of aquatic life grants the facility the fame it deserves. We would love to go on and on with the innovative hotel concepts in the world. But, every good thing comes to an end. For us, it’s just a pause. Please explore more about the Hotel industry on this Global Hospitality Portal. Here is a list of some of the most amazing hotel concepts in the world which we would have loved to cover in details. However, to keep this post limited to a readable length we will only be listing a few here. Hospitality awards also honour innovation in concepts and the recent award winner details can be found here. Citizen M– the sniper concept that blends design, technology, F&B, and self-service. Alcatraz Hotel Prison – Germany’s version of the infamous prison in San Francisco. Qbic Hotels – London’s premier and out-of-this-world hotel. Live Zoku – Japanese hotel for new-age free thinking travellers. The Student Hotel – for scholars with a soft spot for fun and adventure. Hotel Hüttenpalast – Berlin’s finest. Hayema Heerd – an absolutely amazing hotel in Oldehove, Netherlands. While we have explored the most innovative hotel concepts in the world, the hospitality industry over the past decade has also seemed innovation in terms of technology and trends. The hospitality industry has been embracing innovation. One of our other posts covers Top 10 Innovation in the Hospitality Industry. 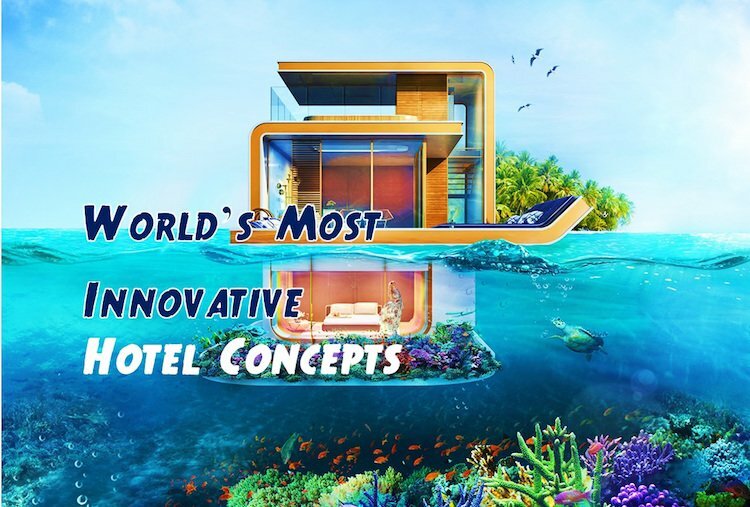 The Hotel concepts that are covered in this post are remarkable but this is just the tip of the iceberg as far as innovation in the hospitality industry is concerned. Hope you enjoyed our short compilation of innovative hotel concepts in the world. We will keep updating this space covering more innovation in the hotel industry.